After the positive experience of inviting fans to their launch event in Dubai last year, from which we got a lot of useful information about HMD, Nokia phones and tech in general, HMD Global is doing the same for their MWC2019 event in Barcelona. 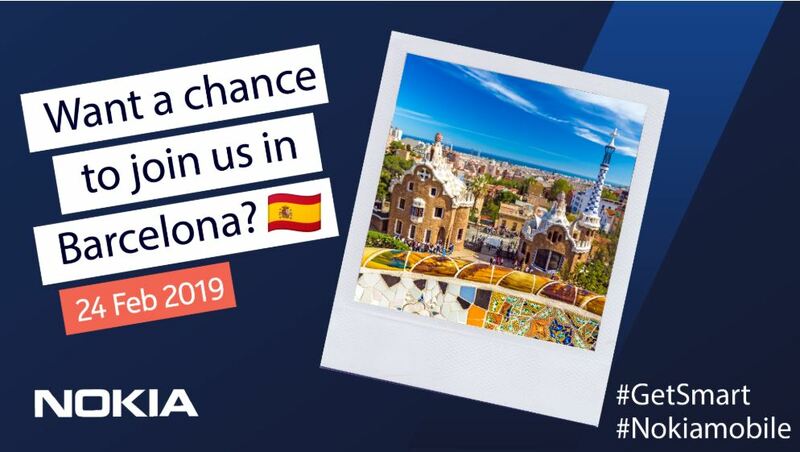 Three lucky winners will fly over to Barcelona for a 48h trip to Nokia Mobile’s event on February 24th. Things you need to do is head to the Community Forum, read terms and conditions, and leave a reply (preferred video, but photo and text can pass) on the topic “favorite Nokia phone moment of 2018” and why. Three lucky ones will win a paid trip to Barcelona, that includes accommodations, MWC tickets and a new smartphone. Three runner ups will get a new Nokia smartphone.